Avery Elle: Two Sweet Cards! Ashley and Heather are on the blog today with these sweet cards. Take a peek. This first card by Ashley is so cute. I love how she colored the house in with bright colors. 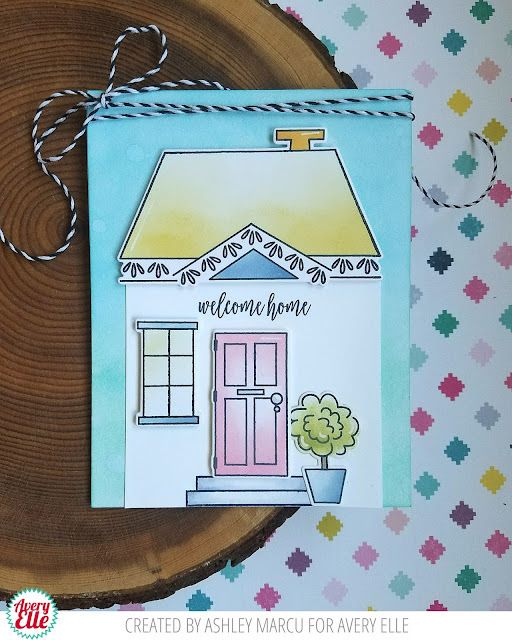 This is sure to create a warm welcome home for that special someone. 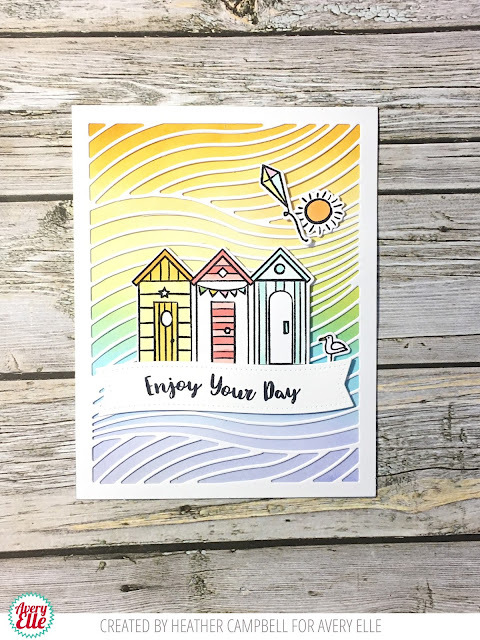 Heather created this next beach themed card. I love how the white wave die cut looks on top of the rainbow colored card base. The fun Beside The Sea beach hut, kite, sun and bird die cuts look fantastic! Thanks Ashley and Heather for sharing with us today. Thank YOU for stopping by to take a peek. Have a great day! Awesome cards. Love the houses and love the die background and creative house scene.